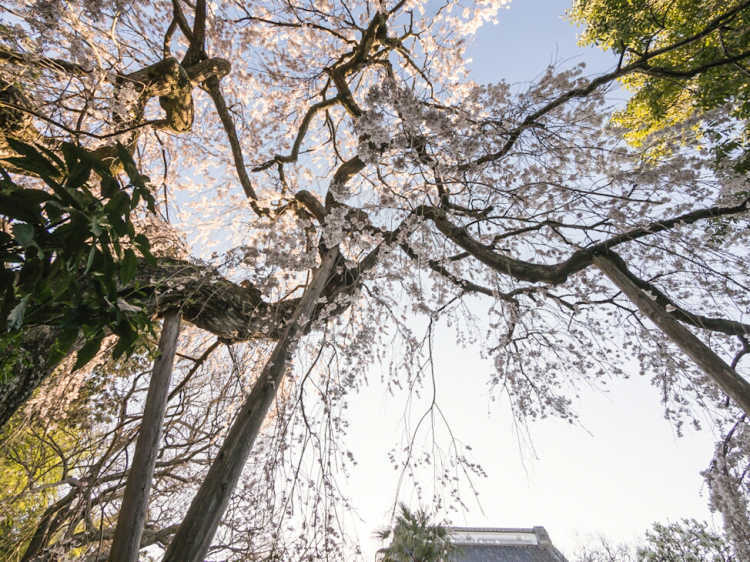 Because there're no ropes or anything to restrain people's entry, you can look up the cherry blossoms just under the tree. 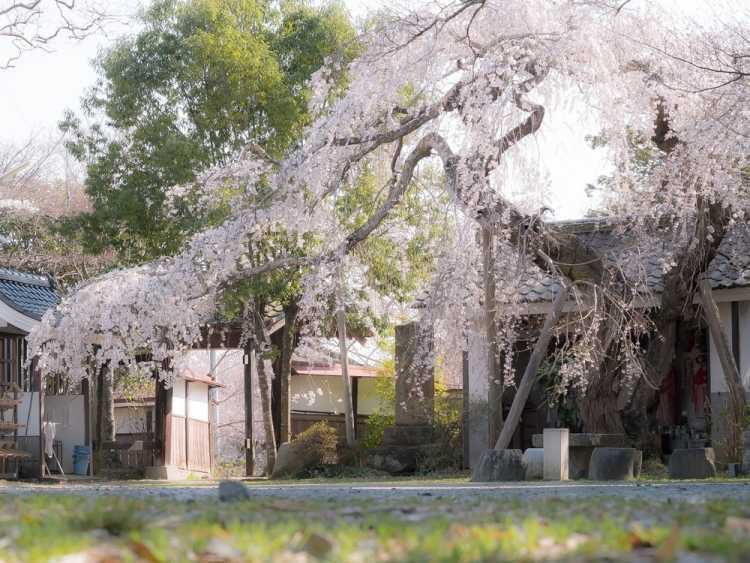 The beautiful cherry blossoms welcome the visitors coming through the temple gate. When you leave the temple, it gently see you off.